Water is life. Affordable clean water is a human right, but one that many people across the globe lack. Whether here in our own backyard of Flint, Michigan, or across the world in central Kenya, clean water is a challenge for many. Which is why today, on World Water Day, we are excited to announce that our Water Purification Project in Nakuru Kenya is up and running. We are open to the community, and so far, the response has been incredible. 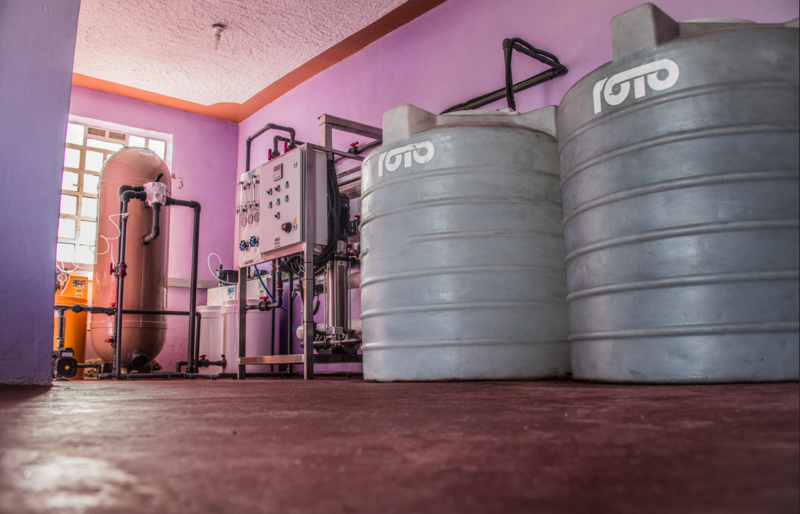 The water project consisted of the purchase of a Reverse Osmosis Treatment water plant that would be house in our partner center, The Welcome to the Family Rescue and Rehabilitation Center. WTF already had their own borehole, and it was their idea to install a purification plant. 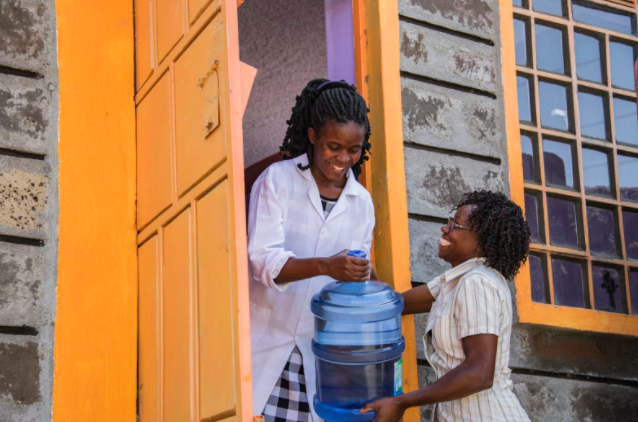 This came about as they were already selling their borehole water to the local community, however this water is not clean, so it is mostly intended for household use such as washing clothes and dishes, gardening, and general hygenic upkeep. However, during hardship, many community members resorted to dirnking the water, because they could either not afford clean water from retailers, or could not afford firewood for boiling the borehole water in order to purify it. As such, many of the local community members suffered from Flouridiosis, a condition that mottles teeth and can also calcify ligaments. This means weak bones in the especially vulnerable, babies, and children. As the community already visited WTF for water, together we developed the project to purify the water they already had and sell it at an extremely competitive, affordable price. When I visited Kenya in 2016, the price of a liter of water was more expensive than the price of a liter of milk! 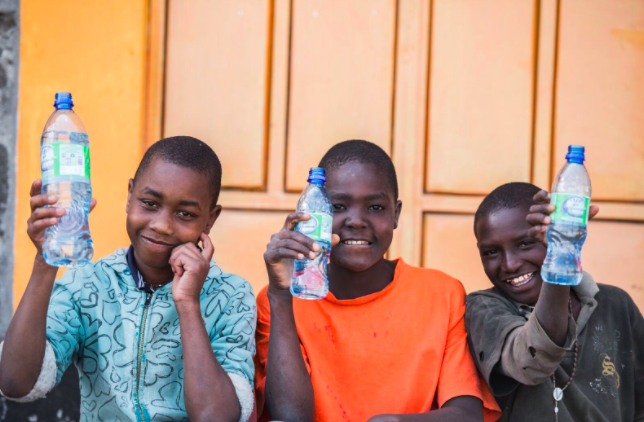 Clean water was far too expensive for many families to afford, so many had to resort to taking the risk of drinking un-purified borehole water. With consulting guidance from our friends at Engineers Without Borders, and the support of generous donors, we kicked off the project in December of 2017 by ordering the custom made purification plant from water treatment experts Davis and Shirtliff. 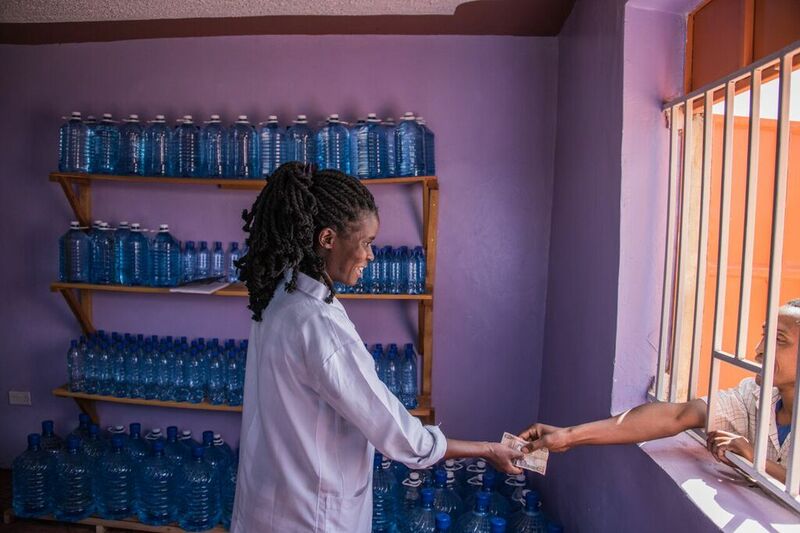 After waiting approximately 2 months for the water selling permits from Nairobi, which involved vigours testing of our system, the doors opened for business in February of 2018. 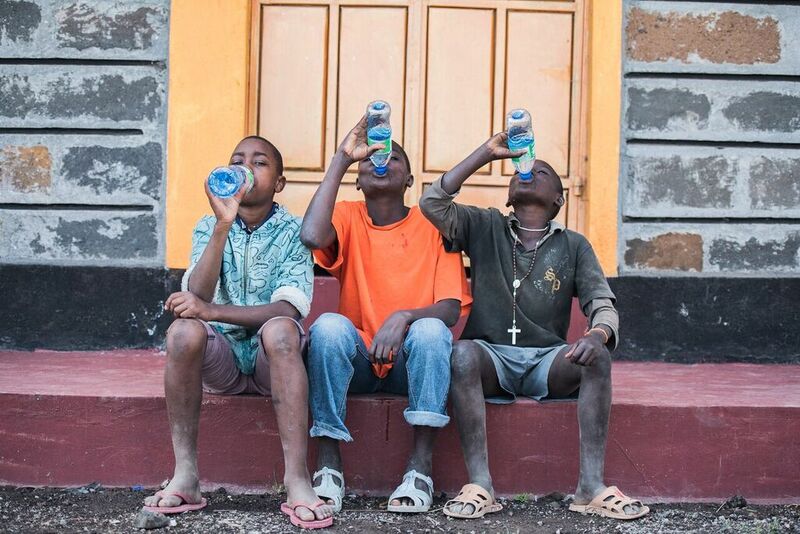 It is not just the community that is benefitting from the project, the children at the WTF center are the primary beneficiaries through the income that is generated by the water sales. WTF Center houses street boys and sexually abused girls. Because of the delicate nature of the children’s backgrounds, caretakers and staff play an essential role in each child’s road to recovery. Through the sustainable income generated, WTF can pay caretakers and staff and ensure they are equipped with the training and education to provide the children with rehabilitation and therapeutic counseling, as well as aid in reintegrating them with family when possible. For those children that are not eligible for reintegration, WTF provides a loving, caring home that places up to eight children in a house with a couple, who serve as ‘parents’. The center also provides legal aid for victims of sexual abuse, to help take their abusers to court. On this World Water Day, we raise our glass of *clean* water to our latest project and all those working tirelessly to bring this basic human right to every single human. Cheers!